AIR France-KLM’s planned pullout from Manila will likely impact on the number of tourist arrivals from Europe as many prefer direct nonstop services to destinations, a tourism official said on Tuesday. “Nonstop service is a preferred option of many air passengers looking for a fast and convenient connection. The planned termination by KLM of its nonstop service to Manila by April next year is bound to affect our European market. We are hoping KLM will reconsider its decision,” Assistant Secretary Benito Bengzon Jr., spokesman of the Department of Tourism (DOT), said in a text message. This as other tourism officials averred that even if KLM pulled out its direct service to Manila, there were other carriers that could take up the slack. “We have more connections to Europe now than before,” said a DOT source. “Of course, we would still want them [KLM] to fly here because it’s a direct route [from Europe]. But there are other alternative carriers,” said the DOT official who requested not to be identified, as she was not authorized to speak on the matter. 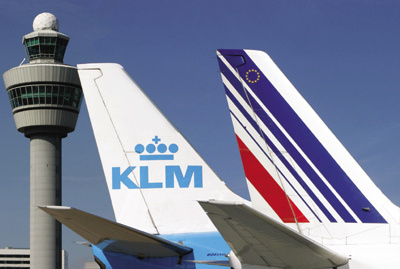 Air France-KLM is Europe's largest airline. Latest DOT data showed that tourist arrivals from Europe were steadily rising, reaching 256,408 from January to August this year, compared with 238,891 in the same period last year. In August alone, tourist arrivals from Europe were up 13 percent to 26,612. In the past, the same doomsday predictions about a drop in European arrivals arose when Germany’s Lufthansa said it would withdraw from Manila, which it did in 2008. A direct flight from London to Manila, for instance, is about 12 to 13 hours. Depending on the carrier, stopovers are either via Dubai, Doha, Singapore or Hong Kong, although this stretches the trip to about 18 hours. A quick check via Internet booking sites showed that a London to Manila flight with one stopover, costs anywhere from $917 to $1,075, for end-January 2012, roundtrip, across all the above cited airlines. A DOT official said even if European arrivals accounted for only about 11 percent of the total tourist arrivals in the Philippines, they stay the longest at 12 to 21 days, and thus spend more than other tourists from other regions. Also, despite the DOT’s minimal budget for its European promotions, agency insiders said the Philippines still manages to make a dent during the important travel fairs in that region. “We normally participate in the biggest travel fairs in Europe such as the upcoming World Travel Market in London from November 7 to 10. We also attend the ITB in Germany in March, and we just finished attending the Leisure Fair in Russia from September 21 to 24,” an official said. Data from the DOT showed that of the total European travelers to the Philippines, those coming from the United Kingdom accounted for the largest. From January to August this year, tourists from the UK rose to 69,295, up 7.5 percent from the same period in 2010. This was followed by Germany at 40,250; and France at 20,284. Tourists from Amsterdam, the home base of KLM, amounted to 13,677, accounting for less than 1 percent of total arrivals in the Philippines. The DOT officials, however, pointed to significant jumps in arrivals from Russia, which soared by 26 percent to 14,235 during the eight-month period from 11,298 last year. In 2008 when Lufthansa pulled out from the Philippines, total tourist arrivals rose to 3.14 million. The DOT attributed the increase from significant growths in the European arrivals specifically from Russia, which was up 34 percent, and France 18.7 percent.